"Thank you for everything you do to help us. I am very lucky living near IVYP where I can get a lot of services. The CBET-Family Literacy School Readiness Class will have counseling sessions again at IVYP. How grateful I am that you will provide this service. Many of my friends are also in need of this service. It would be most welcome and is very much needed. You're wonderful! Thanks again, you always go the extra mile. Sincerely, Rosa." Here is Rosa's story: She lives in Isla Vista with her husband and two children. Both children attend elementary school; one has special needs. Rosa has participated in a variety of Family Resource and School Readiness programs to help her learn English, improve her parenting skills, access resources for her children and gain leadership abilities. She has become a strong advocate for her children, especially her daughter who has special needs. 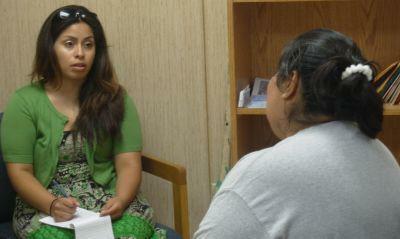 She participates in Counseling to help her parent her children more effectively and to support them in school. Her son is not achieving to his full potential in school and is exhibiting behavioral problems. Her daughter is often a victim of bullying and her special needs result in some challenging behavior patterns. She is trying to balance family life, contribute to the financial stability of her family and be a good parent to her children. The Isla Vista Youth Projects, Inc. strengthens our community through diverse educational, recreational and social programs for children and families regardless of income.